The kaffir lime is a rough, warty green fruit that has an exotic aroma and it is famously known for its double shaped leaves and both the fruit and its leaves are used for cooking to increase the scent of dishes. The leaves of this fruit are egg-shaped and its color is dark green on top but lighter green at the bottom. Kaffir limes have a lot health benefits and are used to do more than just for cooking. Some would opt to use kaffir lime for medicinal purposes. 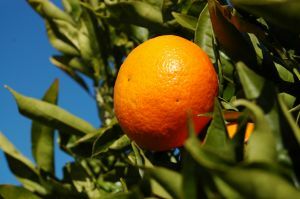 There are also cultures in certain countries that used the fruit for spiritual purposes. Kaffir lime can be found in Laos, Indonesia, Thailand and Malaysia and thus, they are mainly used in South-East Asian cuisines. 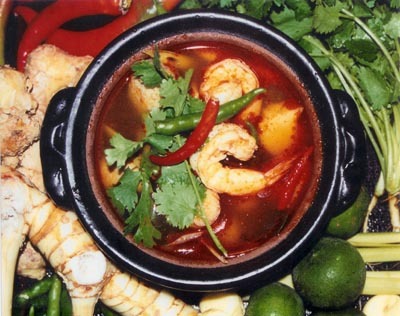 In Thailand, the kaffir lime’s leaves are widely famous when cooking their famous delicacy, the spicy tom yam soup. It is also mainly used in Lao curry pastes. 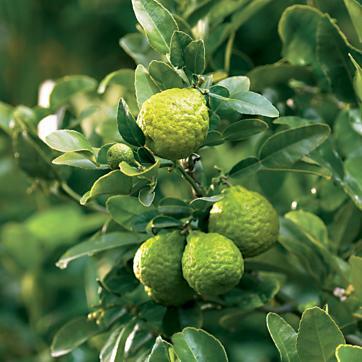 The kaffir limes are common in Malaysian and Burmese cuisines. The fruit and the leaves both bring out more zest into any cuisine and increase the scent as well. Many uses the kaffir lime for spicy dishes as the taste and the smell could complement perfectly with spicy foods. Generally, the kaffir lime contains many nutrition and health benefits. It contains tannin, triterpenouid and saponin which are good for skin growth especially the leaves. Some use them for hair treatment and treatment for hair follicles. Combining with normal shampoo, people would just lather up their hair and massage their scalp in order for the lime extract would seep through the skin and repair the hair scalp which ultimately would cure the root of each strand hair which will appear much more shinier and healthier. The kaffir lime also cures cold and lethargic and its bitter taste too can help with blood circulation. In Malaysia and Indonesia, those who practices silat, which is a form of traditional martial arts, also uses kaffir lime for their benefits. Those who have just graduated from learning the martial arts will be bath with the kaffir lime juice which has been extract and combined with water. Its distinctive scent said is helpful to stimulate the brain and can help the fighters to focus. Even when cleaning the keris; the traditional deadly Malay weapon, the juice extract will be used as it helps to clean the rust and because it is also has an effective anti-rust agent, it can also help with prevention from rusting. In the culinary industry, with the international and famous chefs traveling from one end to the other end of the world, the kaffir lime has been slowly introduce for modern western dishes as well. Mexican food is famous for its spicy flavor and many agree that the kaffir lime juice could increase both the flavor and the scent of their local cuisines. Some even use the kaffir lime juice extracts to produce skin care products and even for aroma therapy oil which will not only help with cleaning the air but also helps with stimulating the brain that is good for both the young and the old.